Three local women share their tips for a greener new year. U-Konserve offers a complete selection of waste-free food storage solutions that eliminate the single-use packaging associated with daily lunch packing, takeout, picnics, outdoor adventures, bulk grocery shopping and storing family leftovers. Where to find Whole Foods, The Container Store, natural grocery stores, kitchen stores, boutiques, package-free stores and online. Wisdom Supply Co. makes a wide range of zero-waste products and systems solutions for classrooms, offices and homes. Ambatalia designs and manufactures textile goods and offers daily essentials to support a non-disposable life. All the goods are package-free, thoughtfully designed and chosen for ease of use, lasting function and a timeless aesthetic. Where to find At the brick-and-mortar store in the Mill Valley Lumber Yard, at stores around the world and online. 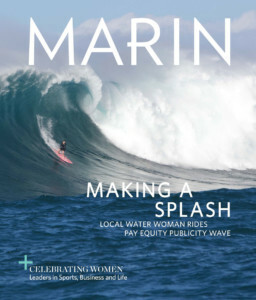 This article originally appeared in Marin Magazine's print edition with the headline "Eco-Wisdom".